The Return of The Kingpin! When hero fights hero – where does that leave the villains? 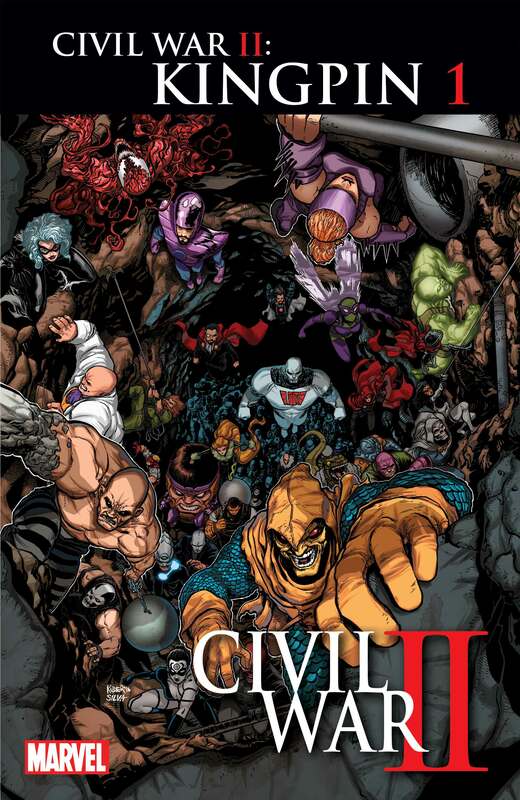 As Civil War II engulfs the Marvel Universe, criminal mastermind Wilson Fisk makes his big move! 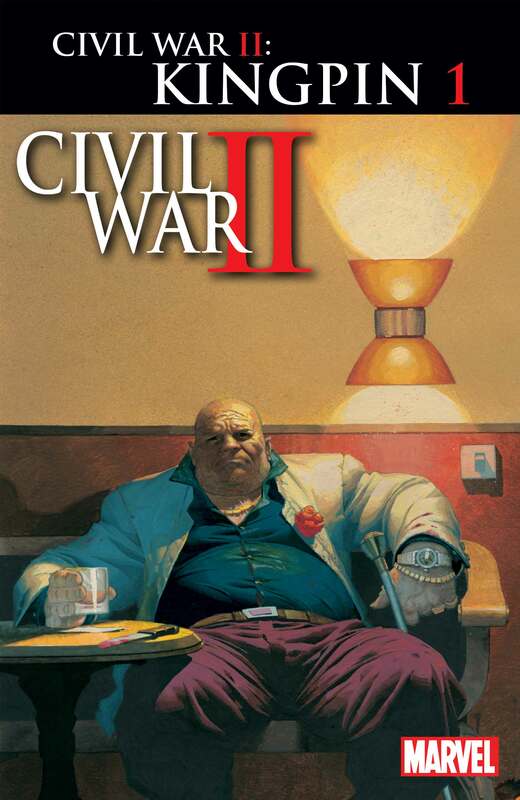 Today, Marvel is pleased to announce CIVIL WAR II: KINGPIN #1 – an all-new Civil War II series launching this July. Rising comic stars Matthew Rosenberg (We Can Never Go Home) and Ricardo Lopez Ortiz (Wolf) bring you a gritty street-level view of the epic upcoming event! A new Inhuman with the ability to predict the future has helped the heroes of the Marvel Universe stop crime before it even happens. But amid this crackdown on the villains, one man has found a way to thrive. Wilson Fisk has a secret, and its helped him stay a step ahead of the good guys and keep his criminal enterprise running like clockwork. But how? What is his secret?! What secret is Fisk keeping that’s kept his house of cards from tumbling down? More importantly – what will happen when that secret gets out? Don’t miss CIVIL WAR II: KINGPIN #1 when it comes to comic shops and digital devices this July!